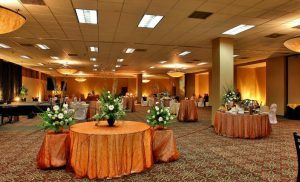 The Summit will be held in the Chesapeake I and II ballrooms on the Mezzanine level of the hotel. Our Summit registration desk is just outside these rooms. Parking is complimentary for all Summit attendees. To make your hotel reservation, please click here. Alternatively, you can make your hotel reservation by calling 1-800-633-9511. Hotel room cancellation policy: Cancellations must be made by 4:00 pm Eastern time on the day prior to arrival to avoid penalty. If a cancellation is made after 4:00 pm on the day prior to arrival, the hotel will charge a no-show fee for one night room and tax.